Sony's A7 range of full-frame mirrorless cameras has only been around for just under two years and yet there are already six members in the lineup. The company has wasted no time in filling the series with models tuned for different uses -- from low-light performance to high-megapixel applications. The A7R II, with its 42.4-megapixel full-frame sensor, certainly falls in that latter category with specs that place it roughly in the same league as heavy hitters from Canon and Nikon. Still, bullet points on a page are one thing; using it in the field can uncover something entirely different. I spent a month with the expensive shooter ($3,200 for the body) and it turns out Sony's latest megapixel monster can hold its own among the big boys. While the A7R II may seem a bit beefy compared to other mirrorless interchangeable lens cameras (ILCs), it's significantly tinier than high-end/prosumer full-frame models from industry stalwarts like Canon and Nikon. The former's 50.6-megapixel 5DS DSLR is quite a bit larger in all dimensions and weighs in at 32.8 oz. with a battery inside -- more than 10 ounces heavier than the A7R II. That's not an insignificant difference, especially if you're considering which one you'd rather hang off your shoulder or neck for hours at a time. That size advantage isn't without trade-offs, of course. The generous frame on the 5DS, for example, gave Canon room to squeeze in two memory card slots (one CompactFlash, one SD) -- a popular feature for photogs who want automatic backups of every shot, or the ability to save RAW files on one card and JPEGs on the other. With the A7R II, however, we've got just the single SD card slot to play with. 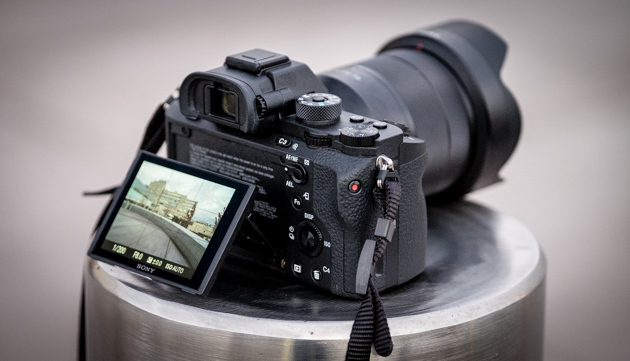 Speaking of the 5DS, there's also more room for connections, including a faster USB 3.0 port, whereas the A7R II makes do with the more common micro-USB receptacle. Then there's the battery, which comes in at a relatively tiny 1,020mAh (compared to battery packs from Nikon and Canon that sport capacities of around 1,800 to 1,900mAh). While I made it through several hours of shooting without worry, I do think picking up a spare battery would be a wise investment. You could also opt for Sony's VG-C2EM vertical grip, which adds a secondary set of controls for use when shooting vertically and support for two power packs at once. While you give up a bit of the A7R II's size and weight advantage with the grip attached, it may well be worth it if you plan on shooting for long periods of time. The overall image quality is impressive and those 42.4-megapixel frames result in significant detail even at 100 percent zoom. Sony's recent announcement that 14-bit RAW support will come via a firmware update further sweetens the deal. It may not be the high-ISO king in the A7 lineup (that title belongs to the newly announced A7S II), but we do have a max ISO of 102,400 on offer here. I'd personally avoid those higher settings though. In fact, I probably wouldn't venture much beyond about ISO 12,800, which is still impressive. 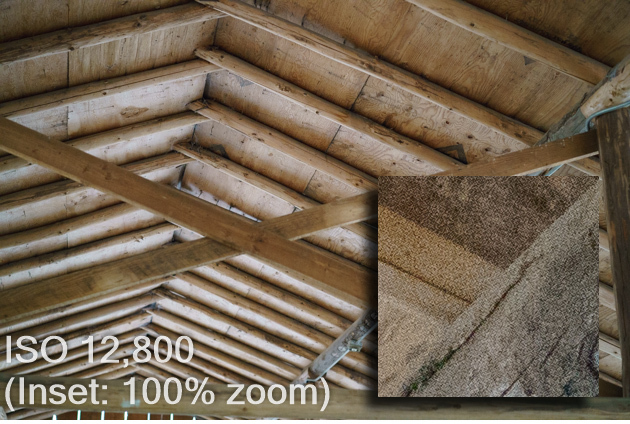 I was very curious about the A7R II's focus performance, especially considering its high-end specs and high-end price. I've been a regular user of Fuji's X-series mirrorless cameras for the past few years and I've been impressed with the steady improvements to autofocus performance -- through both firmware updates and brand-new models. Still, they're a step or three behind the lightning-fast focus speeds you'll find on modern DSLRs. So, I was anxious to try out the A7R II's focusing chops, especially its highly touted "Fast Hybrid AF" system and its whopping 399 phase-detection focal points. 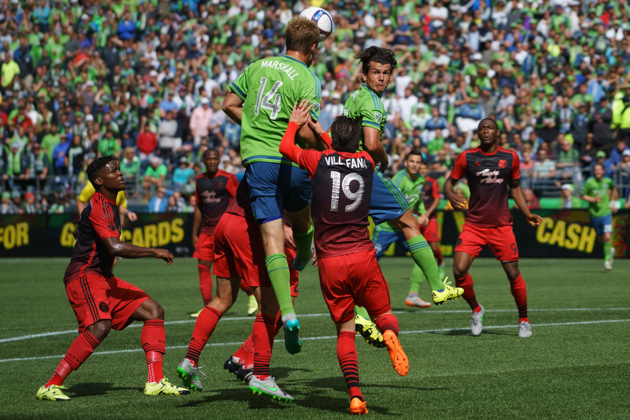 An MLS rivalry match between the Seattle Sounders FC and the Portland Timbers proved to be a solid test of the A7R II's abilities. The match also gave me a chance to try out Sony's FE 70-200mm f/4 lens -- part of a growing lineup of first-party optics. And while performance with adapted third-party lenses from Canon and others continues to improve, a wider variety of Sony-made options can only help the company's efforts to gain a foothold among the pro ranks. The Fast Hybrid AF mode takes advantage of those 399 phase-detection and 25 contrast-detection autofocus points. I first tried it out in the Wide setting, which tracks focal points over most of the frame. That setup worked well in certain environments, especially when the background was fairly static and my intended subject was the only thing moving. It was almost hypnotizing watching green focus squares light up across the viewfinder as my target scurried around. In the more frenzied confines of a pro soccer match, however, the Wide mode struggled to keep up, especially with players moving in all directions. After a few shots turned out with the wrong people in focus, I switched back to my standard practice during sporting events: using only focus points in the center of the frame. With just that small zone to worry about, the Fast Hybrid AF mode performed reliably and the vast majority of my shots were in focus -- even with continuous bursts of images. 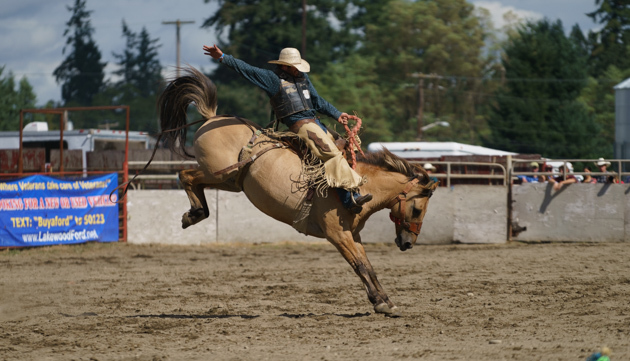 I also tried it out at the Roy Pioneer Rodeo in Roy, Washington. Here, again, setting the AF system to worry about just the center of the frame let me get consistently in-focus shots very quickly. As a sports shooter, then, the A7R II's overall focus system didn't leave me wanting for much, which is a testament to how much mirrorless systems have advanced in just a few short years. Its movie modes are also pretty easy to use, and the A7R II's 4K support gives it a leg up on Canon's and Nikon's full-framers. During some quick tests at the rodeo, video quality came out impressively detailed at both 4K and 1080p settings, although I did notice the frame rate of the EVF's live preview struggling to keep up when recording at the higher setting. It didn't affect the actual clip, but that does seem to suggest Sony's internals are just barely able to handle the high-res movie mode. Despite my overall pleasant experience, it's obvious that the A7R II was not specifically designed for the sidelines -- that relatively slow 5 fps continuous mode should be a dead giveaway. Also, write speeds often got in the way. I frequently ran into a "Please wait" message when trying to review shots after a quick burst of shooting. Granted, 42 megapixels is a lot of data to move, but you can never have too much speed in those situations. That bounty of pixels did come in handy when the action was just too far away for the 70-200mm lens. 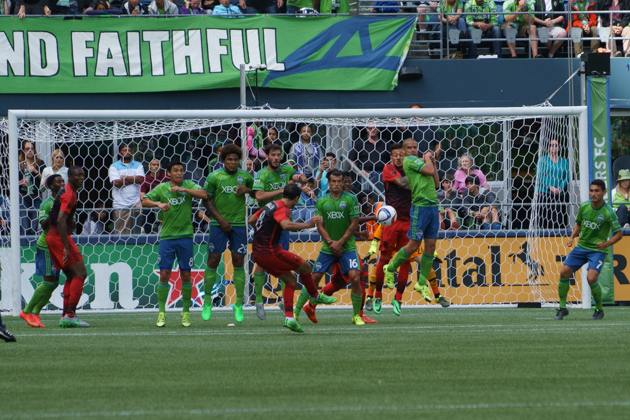 In fact, I snapped a few pics of a last-second free kick on the other side of CenturyLink Field and the high resolution let me significantly crop the photo while still retaining solid image quality. It wasn't that long ago that I wouldn't have bothered trying to use a mirrorless camera in a high-action setting like professional sports, but the A7R II held its own for the most part -- despite not really being designed as a pro-level sports cam. I wish write times were peppier and hopefully Sony's designers find ways to cram a bigger battery and, perhaps, a second memory card slot into this line's compact frame. But overall, I came away impressed with how far Sony's come with this line. Both the A7 bodies and first-party lens lineups are steadily improving. And thanks to the company's rapid pace of deployment (six new models in two years) it seems like we've finally reached the point where "pretty damn good for a mirrorless camera" has turned into just "pretty damn good." Check out our Flickr page for full-size photos -- including shots of the Seattle Sounders FC match and the Roy Pioneer Rodeo.